The Uni-ball 207 Impact RT is a gel-based ballpoint blue ink pen. The 1mm tip makes for thick, vibrant lines that always make a bold statement. 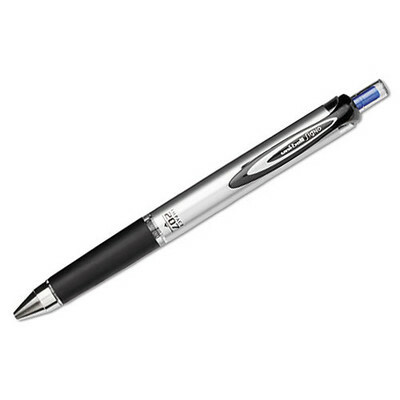 It features an innovative, auto-retracting tip that protects pockets from ink, a smooth grip that keeps writing comfortable while maximizing control, sleek styling, and a distinctive metallic sheen.